Here’s the first episode of Modular Podcast where Ben, Greg and Matthew discuss their highlights from the 2016 winter NAMM. Big thank you to everyone that came along. This entry was posted in Modular Meets. Bookmark the permalink. Here’s Soulsby Synthesizers at Superbooth with some super crunchy digital action! 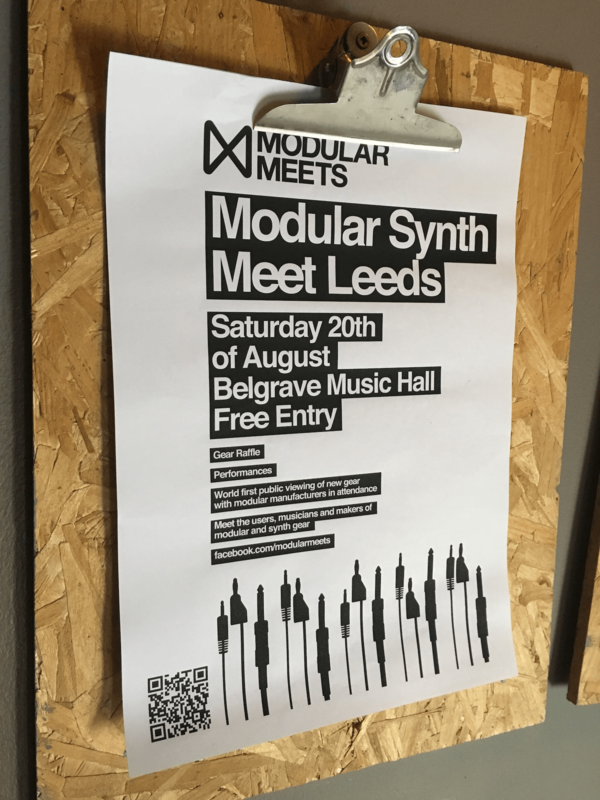 This entry was posted in SuperBooth 16 and tagged soulsby, soulsby synthesizers, soulsby synths, superbooth16. Bookmark the permalink. We all use and love Modular Grid, if you’re new to modular and haven’t used it yet do yourself a favour and go create an account and get playing Modular Tetris! http://www.modulargrid.net We’re nearing the end of our Superbooth videos now (boo, hiss, sigh – don’t be sad! haha) but will still have lots of new stuff to come. This entry was posted in SuperBooth 16 and tagged modular grid, superbooth16. Bookmark the permalink. It was great to meet Michael from birdkids at Superbooth after he’s made a stupidly awesome module with the Bateleur VCO/VCF (I’ve had loads of fun with it). This entry was posted in SuperBooth 16 and tagged bateleur, birdkids, superbooth16. Bookmark the permalink. Martin Klang from Rebel Technology takes us through his new modules at Superbooth. This entry was posted in SuperBooth 16 and tagged rebel technology, superbooth16. Bookmark the permalink. Native Instruments don’t do trade shows but there were at Superbooth and Jan takes us through the new Reaktor Blocks update. This entry was posted in SuperBooth 16 and tagged blocks, native instruments, reaktor, superbooth16. Bookmark the permalink. This sequencer looks great for both studio and stage, enough said! Check out our chat with Andrew Kilpatrick at Superbooth below. This entry was posted in SuperBooth 16 and tagged kilpatrick audio, superbooth16. Bookmark the permalink.